398 loyalty points Your cart will total 398 points that can be converted into a voucher of 15,92 PLN. FLEX WHEELER PRO LINE HYDRO PRO is a sensational protein supplement, one of the best on the market based solely on the hydrolyzate of bovine whey protein! Excellent composition best muscle building materials will make your muscle fibers begin to grow at an incredible pace, and you yourself will experience a significant improvement in strength training. 100% Hydro Pro signed by the four times winner of the Arnold Classic - Flex Wheeler is a brilliant product that will give you your dream figure! Fantastic selected amino acid profile is designed to enter into muscle cells as high as possible levels of nitric oxide. Hydro Pro is an absolute revelation, which in contrast to other protein supplements do not need a brilliant description to confirm your action. 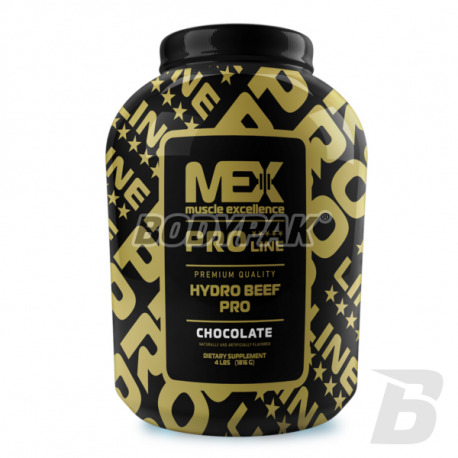 FLEX WHEELER PRO LINE HYDRO PRO is a very concentrated mixture of proteins, which is enriched with essential amino acids is to get a better protein synthesis and regenerate muscles. Currently, the cleanest commercially available protein supplements whose main component is the bovine milk protein isolate (BPI97). 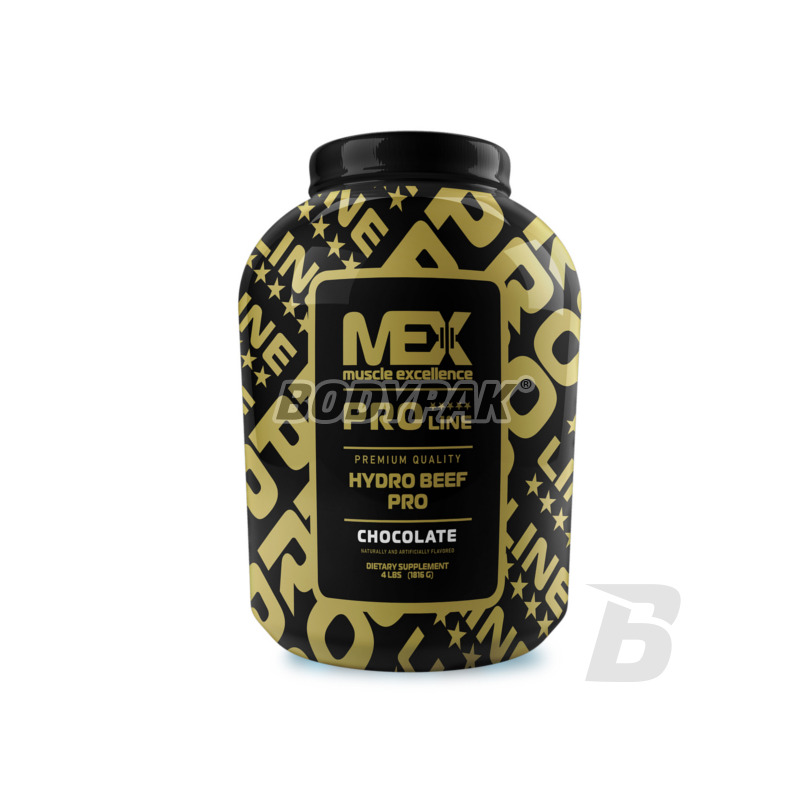 100% Beef Hydro Pro instant formula, which is absorbed immediately after the consumption, as in up to 95% digested protein supplement-free carbohydrates, cholesterol, and allergens. FLEX WHEELER PRO LINE HYDRO PRO - Future high-protein nutrients! Składniki: hydrolizowany izolat białka wołowego, aromaty, zabielacz, guma celulozowa, guma guar - substancja zagęszczająca, lecytyny - nośnik, sukraloza - substancja słodząca, karminy - barwnik, dwutlenek krzemu - substancja utrzymująca wilgotność. Dobrze smakuje i dobrze się rozpuszcza. Natomiast skład lepszy już chyba być nie może. Super produkt! High-quality whey protein concentrate enriched with a high dose of creatine and arginine. It is the first protein preparation on the market, which also uses a dual formula of growth in the form of very potent anabolic amino acids.